The Asia-Pacific region is a bedrock of the global IOGT movement, with vibrant and thriving civil society organizations in the Indian subcontinent, and in South-East Asia. 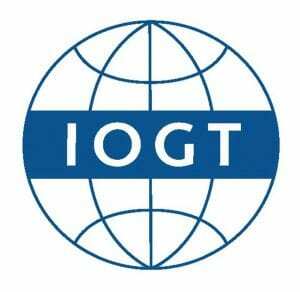 IOGT is currently building up its membership in Oceania. In Asia, the IOGT movement is represented through 28 Member Organizations in 12 countries, including the Indian subcontinent. Here, a strong pillar of the IOGT movement is our Indian youth organization Yuva Bharat. The Dalgarno Institute is a growing coalition of groups, agencies and individuals, all founded on over 150 years of heritage in social and cultural impact. This community-based and community empowered lay Institute continues to build on the incredible service of past groups, organisations and unions across Australia. The Dalgarno Institute seeks to shift the community and particularly adolescent, young adult and family attitudes about alcohol and other drugs away from the cultural expectation of participation, toward the proactive and protective option of ‘not having to’. Through Education, Advocacy and Resource processes The Dalgarno Institute seeks to relevantly engage, educate and recalibrate cultural perceptions and values through ‘Fence building’ processes including curriculum delivery, strategic partnerships and sponsorship of other proactive community based harm prevention – ‘don’t need to’ strategies. Its mission is to assist Australian Governments, Communities, Schools, Sporting Clubs, Churches and Service Clubs to rediscover the proactive and protective options of best practice prevention models in the alcohol and other drug arena. In so doing to present society and the emerging generation in particular, with positive and viable prevention and demand reduction options around alcohol and substance use and abuse. Positive alternatives to alcohol fuelled ‘self-medicating’ activities. Jatiya Tarun Sangha (JTS), the National Youth and Social Welfare Council of Bangladesh was founded October 1,1966. It was started as a school for poor children with a library, a sewing center and First Aid center. Today the organisation has more than five million members of both sexes with branches all over Bangladesh. YPSA (Young Power in Social Action) is a voluntary, nonprofit, social development organization that exists to protect and promote the interests and rights of the poor and vulnerable population with all commitment to bring about their own and society’s sustainable development. Khmer Youth Association (KYA) is a humanitarian, politically independent non-governmental Cambodian youth organization founded in 1992. KYA is committed to working with and for youth for positive social change by improving and promoting youth participation on different social issues relevant to Cambodia. KYA strives towards an improved framework for respecting human rights, democracy, gender, health, and the empowerment of young people by the government and other stakeholders utilizing principles that encourage youth participation and recognize youth’s role and contributions. The People Center for Development and Peace (PDP-Center) is a grass-roots NGO, established in 2004. 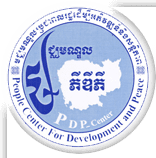 PDP-Center works to promote freedom, transparency, the rule of law and democracy in Cambodia. The main goal is to poverty, corruption, impunity, loss of land, trafficking of women and children, drug trafficking, and access to healthcare. PDP-Center wants to tackle these issues and believes that an effective approach is to gather people in the affected communities with a strong commitment to finding solutions. The Temperance Association of Orissa promotes a lifestyle free from alcohol and other drugs through the example of their own members. HRIDAY (Health Related Information Dissemination Amongst Youth) is a Delhi based voluntary organization of health professionals, public health researchers, social scientist and lawyers, engaged in research, awareness and advocacy towards prevention and control of Non-Communicable Diseases (NCDs) through health promotion in multiple settings including schools, communities and workplaces, since 1992. HRIDAY focuses on empowering youth through youth engagement and participation and health education enabling them to act as “change agents” for enhancing the health of their community. Research to guide, design, develop and implementation of health promotion strategies and intervention models. Advocate and support healthy lifestyles and practices and create an enabling environment for appropriate health policies and programs. Promote informed health activism and create a healthy environment at schools, homes, communities and workplaces through awareness generation and sensitization. Build legal and technical capacities of key stakeholders to deal with national health concerns and effective implementation of related governmental health programs. Work towards forging partnerships and building alliances among government and civil societies for sustained health promotion initiatives. 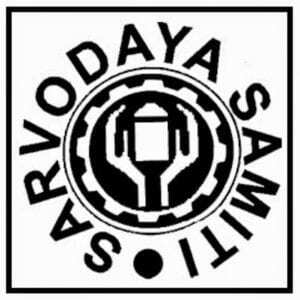 The Sarvodaya Samiti is a politically independent, not-for-profit NGO committed to the development of tribal, rural and other underprivileged communities in Indian society. The area of operation of Sarvodaya Samiti is throughout the state of Orissa. Bhartiya Adim Jati Sevak Sangh (BAJSS) means “All-Inclusive and All-Round uplift of The Tribal Communities of India”. The late Sh. Thakkar Bapa, an eminent social worker and a close-aid of Mahatma Gandhi, established the esteemed institution in 1949. Through its set of dedicated institutions, BAJSS is determined to offer humanitarian services to the tribal communities residing in the deserted faraway vicinities and isolated hamlets, in vital segments such as education, child-care, eradication of social injustice and woman Empowerment. So far, with the 65 years of exemplary services in tribal welfare, BAJSS has transformed thousands of deprived families and also led them towards a better and prosperous future. Brain Society is a Not-For-Profit Organization serving for the empowerment of society. Brain society works to promote self-help groups of marginalized women in villages and rural areas and linking them to the main stream of society. Brain Society works to integrate and link the activities of the self-help groups to employment opportunities for women and income generation activities to empower women economically, socially and personally. Brain Society works from the understanding that empowering women has positive influence on family, and the wider society around them. Brain Society conducts integrated rural development programs, workshops and seminars. The Alcohol and Drug Information Center (ADIC) India was established in 1988 seeking pragmatic solutions in controlling and preventing the increasing menace of alcoholism and substance abuse in the country. ADIC has played a strategic role in the Substance Abuse Prevention arena both in India and abroad, through its innovative, multi-faceted, low cost, co-ordinated programmes and projects. The need for intervention through efforts, which require expertise, experience and increased resources, is essential to build up a generation free from substance use.Experience and research have proved that one of the effective ways of addressing this situation is by organising innovative programmes coupled with attractive alternatives. All these elements are included in both the ideology and practical work of ADIC-India. 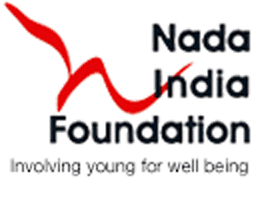 Nada India started working in 2001. The sole objective of the organization was to promote inclusive non-pharmacological approaches and methods like acudetox, peer education for protection and recovery. Today, Nada India envisions communities of marginalized and vulnerable population, especially adolescents, women and senior citizen, capable of making healthy choices. Nada India also trains and provides technical assistance in setting up NADA Acudetox services in diverse settings like correction institutions,peer led rehabilitation programs, Uniformed services, drug treatment, rehabilitation and drop in centers, Productivity Enhancement Program in the countries of South Asia. Nepal Health Society is a nationally recognized non-government, non-profit making social organization working for improvement in peoples’ lives through united efforts of community health. Nepal Health Society is politically independent. It was registered in 1991 under Narcotics Control section of the Ministry of Home Affairs and is affiliated with the Social Welfare Council (SWC) of Nepal. Since its inception, Nepal Health Society has been actively working as a pioneer in the sector of drug use prevention, prison health promotion and prison reform, HIV/AIDS/STI prevention and care programs and safe abroad migration as well as suicide prevention and research. Sunny Trust International is an addiction treatment and rehabilitation center. Its vision is to be one of the most innovative, accessible and effective NGOs responding to the needs of persons with substance abuse and psychological problems. 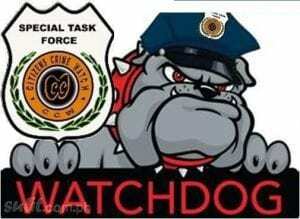 Citizens Crime Watch is a private, non sectarian, non profit organization. Citizens Crime Watch (CCW) operates as community initiative to improve public safety, government accountability and to reduce the number of victims of harmful substances and crimes. CCW disseminates information about crime prevention and the justice system to the community. Through Citizens Crime Watch, citizens are educated in areas such as personal protection, home security, all kinds of crime reporting, environmental education, micro-economic, human and peace development programs. 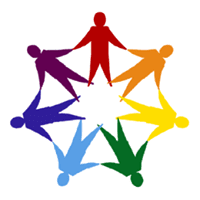 Healthy Lanka Alliance for Development envisions a world in peace and without poverty, where all are secured with Human Rights, Social Justice, where alcohol and drugs do not prevent people’s well being, and fulfillment of human potential. Guided by scientific, evidence based knowledge, we aim to create community change towards a happy and healthy environment conducive to development and the fulfillment of human rights. Our main areas of focus are alcohol, tobacco, and drug prevention; gender equity; child rights protection and promotion; and peace and reconciliation. In achieving our goals, we work to strengthen the civil society and mobilize communities. Our programmes cover a wide spectrum of society, taking place at the community, divisional, district, and national levels. The Foundation for Innovative Social Development (FISD) is a national non-governmental organization in Sri Lanka working towards the uplifting of living standards of local communities. FISD enlists civil society participation and social mobilization in order to enhance the status of women, to build a healthy environment for children, and to create a society free from alcohol, tobacco, and other drugs. 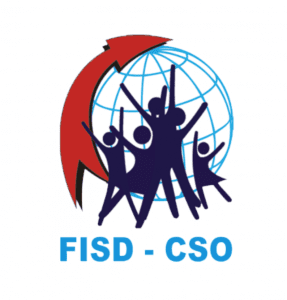 FISD stands out as a pioneering nongovernmental organization in the field of social development. FISD’s mission is to provide innovative solutions for sustainable social development through meaningful methodologies and practices to stakeholders towards creating a dynamic Civil Society with justice, and equity. 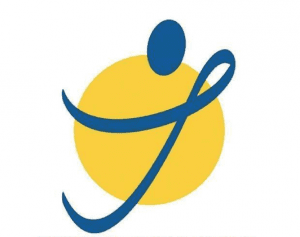 Sri Lanka Interactive Media Group is one of the leading Child Rights and Child Focus Community Development National Organizations in Sri Lanka as well as training specialists on child related issues. The All Ceylon YMMA Conference has served the Muslim community and the country in numerous ways by promoting activities in every field of endeavor while contributing to the building of a healthy, vigorous and intelligent youth movement. It has imbibed into our young men a sense of dedication and service to the community and country. 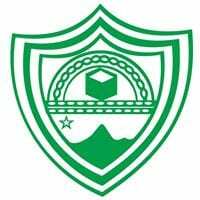 It has provided opportunities and awareness to develop their skills and talents within the framework of Islamic teaching and the culture of our country. It has spotlighted the poverty and illiteracy among the large sections of our community and endeavored to minimize these by practical and realistic measures in various other ways. It has raised the status of the people of this country in equal terms to build a united, happy peaceful and prosperous Sri Lanka. The Temperance Youth Organization of Sri Lanka (TYOS) was started on 2nd February 1975 with the initiation of Ven. Maduluwawe Sobitha Thero, who was selected as the first President of the Temperance Youth Organization of Sri Lanka. Ven. Sobitha Thero was the president of the TYOS until he passed away and has done a remarkable service to promote TYOS among the younger generation of Sri Lanka. 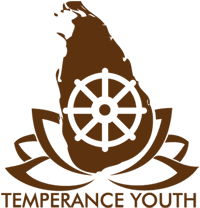 With the establishment of Temperance Youth Organization of Sri Lanka Temperance work in Sri Lanka has got a accelerated weak-up. The key members has done a remarkable job to promote the TYOS among the younger generation by visiting to villages and schools and done a great effort to keep the younger generation away from the drugs. Dr. A. T. Ariyaratne founded Sarvodaya in 1958, when he established the concept of Shramadana (“Sharing of one’s Time, Thoughts, Labor and Energy”); gathering volunteers to come together and build a road in an impoverished rural village of Sri Lanka. 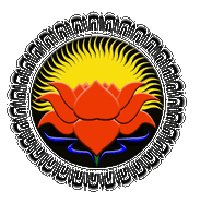 Today, the Sarvodaya Shramadana Movement is Sri Lanka’s most broadly embedded community-based development organization network. Sarvodaya works with 26 district centres, 325 divisional centres and over 3,000 legally independent village societies in districts across the country, including war-torn northern and eastern provinces. 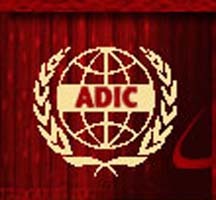 The Alcohol and Drug Information Centre (ADIC) – Sri Lanka was inaugurated in April 1987 and was established as an independent organization in 1990. 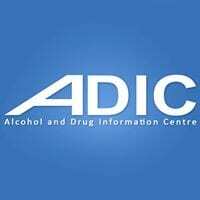 Today the Alcohol and Drug Information Centre (ADIC) Sri Lanka has developed to be a well recognized Resource Centre, promoting drug demand reduction. For more than 25 years, ADIC has contributed substantially by introducing innovative and science-based drug demand reduction strategies in Sri Lanka and to other countries especially in the South-Asian and South-East Asian region. UNODC has identified ADIC as the leading agency in the Asian region. ADIC’s vision is to create a world where every person realizes that use of whatever drug at whatever level is an impediment to happiness. And ADIC’s mission is to prevent drug use through social change and effective education. ADIC’s work to empower the grassroots reaches diverse communities. Collaborations with a range of government organizations, non-government organizations, and community based organizations have resulted in implementation of a large number of interventions directed at numerous target groups across the entire country. StopDrink Network is a youth campaign in Thailand build on cheerful volunteering to build a healthier society safe from alcohol and other risk factors. SDN is a social movement, building on synergies in communities for social awareness and active involvement in preventing and solving alcohol-related problems. IOGT Thailand promotes a lifestyle free from alcohol and other drugs through the example of their own members. 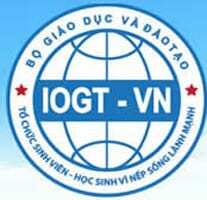 IOGT Vietnam promotes a lifestyle free from alcohol and other drugs through the example of their own members.